Vinalhaven bed and breakfast travel guide for romantic, historic and adventure b&b's. Browse through the iLoveInns.com database of Vinalhaven, Maine bed and breakfasts and country inns to find detailed listings that include room rates, special deals and area activities. You can click on the 'check rates and availability' button to contact the innkeeper. Vinalhaven is a town in Fox Islands, Maine. It takes more than an hour by ferry to get to this town from the mainland, particularly Rockland. This town is known not just for its very lucrative lobster industry but also for its summer getaways. There are two lighthouses in Vinalhaven that visitors must see because of their picturesque beauty. These are Heron Neck and Saddleback Ledge, with the latter built in the late 1830s. The nearest beach great for swimming is located in Owls Head, which is not very far from the town of Vinalhaven. As a town with a flourishing economy based primarily on lobster fishing, it is not surprising to know that its best restaurants offer different culinary delights based on its most recent catch. Among the best places to eat here are Harbor Gawker, Black Dog's Tavern, Haven, and Harborside Lobster. 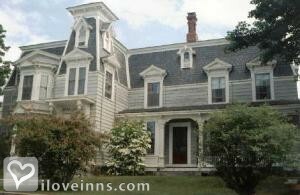 Vinalhaven bed and breakfast inns can update you with the best eateries. By Payne Homestead at the Moses Webster House.